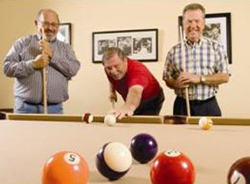 Enjoy Your Senior Retirement Living With Fun Activities At Vienna Square! Senior retirement living should be fun and enjoyable. It should include many of the hobbies you enjoy as well as offer many new events and activities to try. Vienna Square gives you the opportunity to try new things as well as have fun doing what you love. 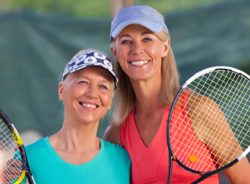 Our active adult community affords you fee simple living, care-free maintenance and a clubhouse with a theater, Billiards room, fitness center and more. Vienna Square is located in Winter Haven. We bring you independent senior retirement living. You will have access to shopping, medical facilities, restaurants and entertainment. With quick and easy access to expressways, you can enjoy family entertainment and recreational facilities such as Disney World, Epcot, Universal Studios, Sea World, Busch Gardens and Bok Tower. You can also enjoy Florida’s beaches on either coast, a symphony performance or Broadway play in nearby Lakeland and more. There are also top quality golf courses nearby for the avid golfer. You will not be disappointed with all there is to do in and around the area. Our affordable maintenance free villas and elegant single story homes have a lot to offer. Our homes come equipped with huge spaces for entertaining, state of the art kitchens built for function and master bedroom en suites that make you feel like you have arrived for the ultimate in senior retirement living. Our homes offer screen verandas, garages and a wealth of upgrades to make your home truly yours. The best part is that you own the land and your home. Our Continuing Care Campus is designed for those who like the idea of neighbors being an integral part of their lives. If you like sharing meals and recreating together, if you take comfort in knowing there are plenty of helping hands around, if you want real community, service and security then our Continuing Care Campus might best suit your senior retirement living ideas. 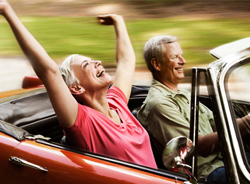 You will still enjoy a vibrant lifestyle while you can. However, should your needs change, you can move to another area of our community to get the care you need. Our clubhouse boasts of a state of the art theater, a heated swimming pool, a fitness center to keep you looking and feeling young and more. There are scheduled events that take place in the clubhouse such as poker night and womens’ coffee hour should you choose to partake in any or all the activities offered. You can also entertain guests or hold a birthday party in the ballroom of the clubhouse. 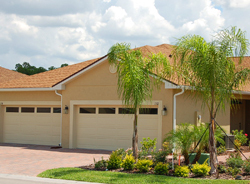 Florida retirement communities should give you the best of everything and that is what we have done. When you think of retirement, think of Vienna Square and all we have to offer. Contact us today for more information. This is senior retirement living at its best.